Today, Zanzibar is best known as an exotic tourist destination off the coast of Tanzania, but it also happens to be the site of what is believed to be the world’s shortest war – a virtually forgotten affair that lasted all of 45 minutes and killed or wounded 500 Zanzibaris. The war took place on August 27, 1896. 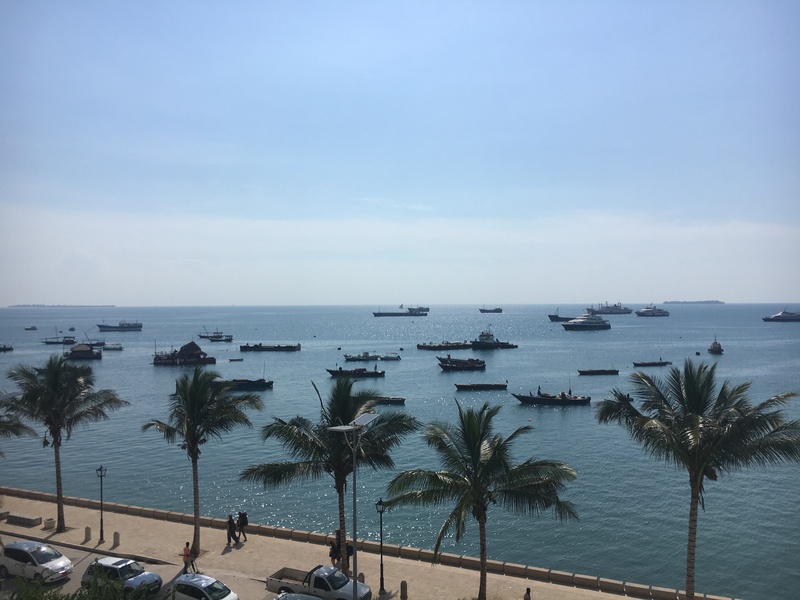 It pitted British forces against what was then the Zanzibar Sultanate and was sparked by the death of Zanzibar’s pro-British Sultan, Hamad bin Thuwaini, on the 25th of the same month. Immediately after the Sultan’s death, his cousin, Khalid bin Barghash, seized power in Stone Town’s palace. Khaled was not a favourite of the British who preferred another local dignitary, Hamud bin Muhammed. 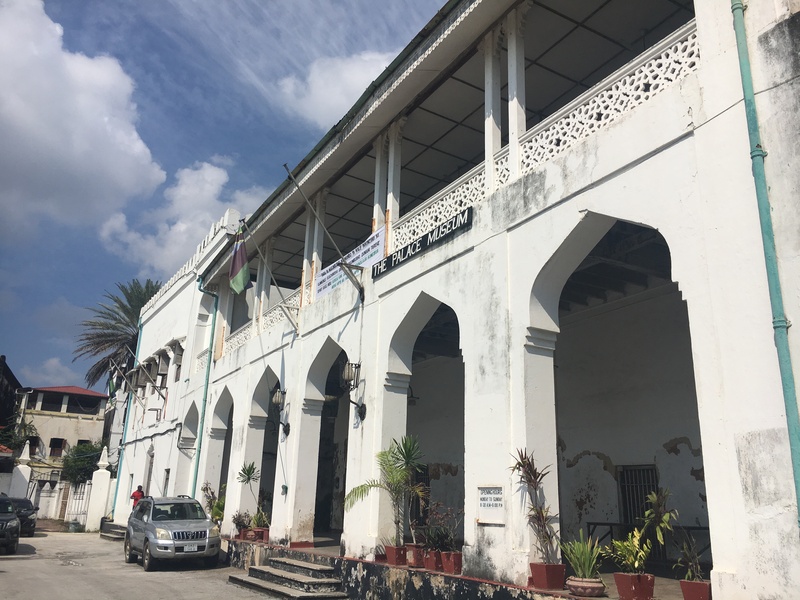 Importantly, a decade earlier the British and the Zanzibaris had agreed that Sultans could only ascend to the throne with the permission of the British consul on the island – which Khalid didn’t have. With that treaty in mind, on the 26th the British commander, Rear Admiral Henry Rawson, issued an ultimatum ordering that Khalid vacate the palace by 9 AM on the 27th and hand power over to Hamud. British warships and troops were getting ready for battle. In a predictable – albeit sorely ill-advised – move, Khalid refused to leave. That prompted British cruisers and gunboats to unleash a fierce barrage: in a little less than the time span of one half of football, the British fired approximately 500 artillery shells, as well as thousands of machine gun rounds, at the palace and Zanzibari forces in the harbour area. The bombardment killed or wounded about 500 Zanzibaris, mostly as a result of the palace catching fire. While some of the casualties were certainly combatants manning gun emplacements in and around the palace, many, according to my guide, were servants, slaves and civilians. To add insult to injury, the British later forced Khalid’s supporters to pay them back for the cost of the ammunition fired during the engagement. Khalid, however, wasn’t among the dead or wounded, and – together with about 40 of his most die-hard supporters – fled down the street to the German consulate. A few months later, the Germans smuggled him out to what was then German East Africa, where he remained until being captured by the British in 1916, during the First World War. He died in 1927 after stints in exile in the Seychelles and Saint Helena. 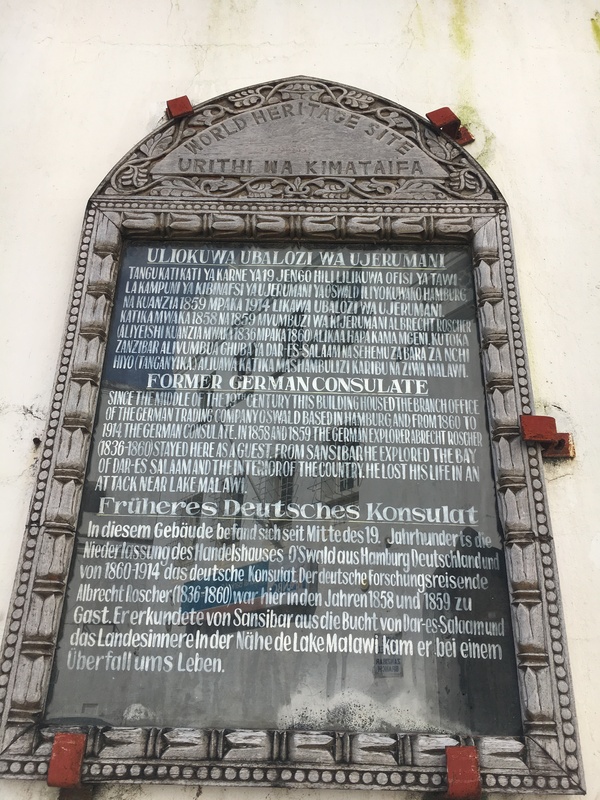 That isn’t the only bit of obscure military history we found in Zanzibar. In what is perhaps one of the most far-flung naval encounters of the First World War, in September 1914 a German cruiser, the SMS Königsberg, sunk a British warship, HMS Pegasus, as she was in port in Zanzibar. A total of 38 British sailors are buried on an island just off the coast of Stone Town. Britain’s military involvement on the island, however, didn’t end with the end of its colonial ambitions on the island. When the 1964 Zanzibar Revolution looked like it would take a hard left turn that wasn’t to the liking of the US and UK, British forces prepared a number of military options to intervene, involving amphibious and helicopter assaults, as well as airdrops by the Parachute Regiment. One such plan, Operation Parthenon, would have been the UK’s largest air assault since the Suez Crisis in 1956. Tags: Bernie Debusmann, Khalid bin Barghash, Rear Admiral Henry Rawson, Stone Town, Tanzania, World's Shortest War, Zanzibar, Zanzibar Sultanate, Zanzibar’s Bizarre 45-Minute War. Bookmark the permalink. Thank you to Bernie and TVR for this post. I went to Zanzibar last year because my girlfriend wanted to go and felt uncomfortable about it because of all of the tourists. LOL You’ve allowed me to feel better about that trip now given this history you’ve shared. The place has got some good history. I had heard of this war before, but the background info and the overall history of the region was the part that I found very interesting. Yay! A new post. Another example of the world improvers “improving” the world. Of course, anyone else would have been just as bad. People are the same when it comes to power. It doesn’t matter if we’re talking about the East or the West.